How To Buy A Cot - Which? 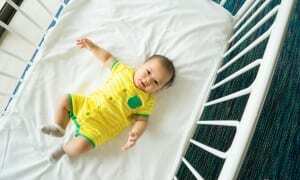 A cot will be one of the bulkiest - and one of the most expensive - pieces of baby equipment you'll need before your little one arrives. With prices ranging from £70 for a basic cot up to £700 for a solid oak luxury model, it's worth shopping around to choose a suitable cot to last you through your baby's early months and years. It's also worth considering whether you want a cot or cot bed, which can last until your child is around nine years old. You can look at all the different options available, and see which ones we recommend as Best Buys, by checking out our cot bed reviews. We asked more than 500 cot owners, along with 600 parents who had bought a convertible cot bed, to tell us what they believed to be the most important considerations when buying one. A cot bed is a cot with removable sides and end panel so it can be converted into a toddler-sized bed. These are increasingly popular and seem a logical way of lengthening the life of a cot. They also help to make the move from a cot to a bed as smooth as possible for your child. Cot beds are larger than cots but are not necessarily much more expensive. Take a look at our video guide to buying a cot bed to find out if this option is right for you. Cot sizes vary. Those designed to fit standard-sized cot mattresses are a few centimetres narrower than cots designed for 'continental-sized' mattresses - although they're often a similar length. Cots vary in size within these categories, too. Measurements should be clearly displayed on the label. The advantage of a larger cot is that your baby will have more room - and it may be a more practical option if you and your baby are happy to continue using a cot well into the toddling years. However, a smaller cot will be perfectly adequate for a growing baby. The base height of most cots can be adjusted as your baby grows. 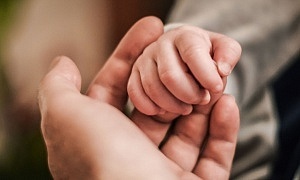 You can choose the highest level for the first few months, so you can lift your baby in and out easily. Then reposition at a lower level when your baby starts to pull himself or herself up, so he or she stays secure in the cot. Cot bases tend to have two or three positions, although a few have more. Two positions are fine for most people’s needs. Most cots have drop sides. One side of the cot will have a mechanism designed to let you lower the side so you can lift your baby in and out with ease. Some cots have drop mechanisms on both sides. 'Nudge and lift' mechanisms, when you push the side of the cot into a position where it can be lowered, can be useful because you can operate them with one hand. Other cots have a trigger mechanism, a foot pedal or a couple of catches to undo. New rules to ban drop-side cots in the United States came into effect in 2011. This followed the deaths of at least 32 babies because of defective drop-side cots since 2000, and recalls on 11m cots since 2007. British cots come under European safety standards - always make sure you look out for the BS EN 716: 2005 - which are different from those in the US. So far, there hasn't been a ban on drop sides in Europe, although there has been an adjustment to the European standards, which now say that drop sides are required to lock in the lower position. Chomping on the edge of a cot is a habit many babies seem to relish. Choose one with a teething rail – a protective covering lining the side-edges of the cot – if you want to avoid the risk of damage. Some cots have casters or mounted wheels - handy if you want to move it into to a different room. It also makes for easier cleaning under and around the cot. You can buy cots with a removable side so you can position the cot right next to your bed. The base can be adjusted so your baby’s mattress can be lined up with yours, which makes night-time feeding easier. We're reviewed the NCT Bednest, a crib similar to a cot that allows you to sleep next to your baby, so find out whether we thought it was worth the money. Travel cots are portable cots that you can fold up and put in a bag to take away with you. Most have a plastic or metal frame, woven fabric and mesh sides, and a hard segmented bottom with a folding, lightly padded mattress. Our dedicated has more in-depth advice.